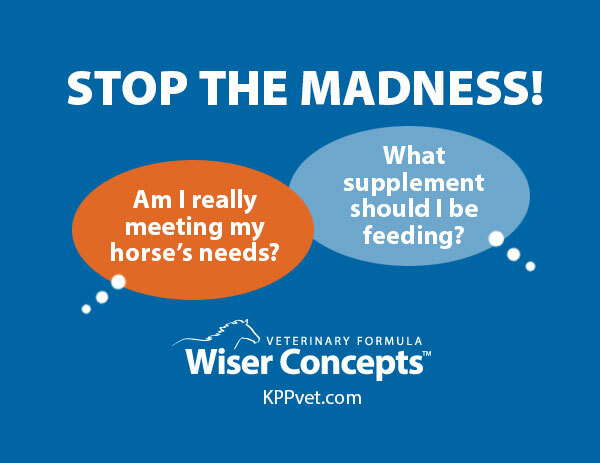 With hundreds of different equine supplements on the market today, trying to pick the right one for your horse can be frustrating and worrisome. 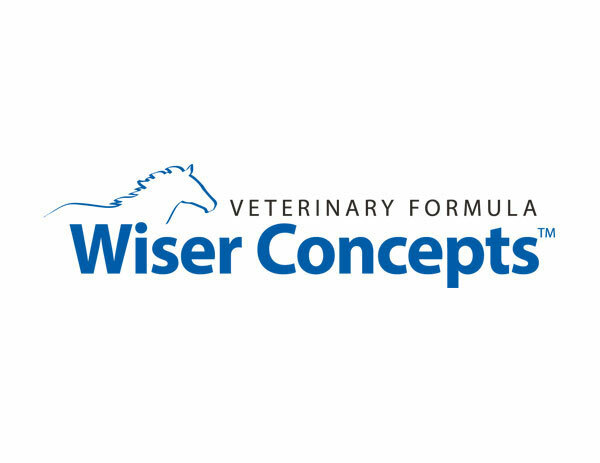 Kentucky Performance Products, LLC decided to develop Wiser Concepts® supplements to ease the uncertainty. 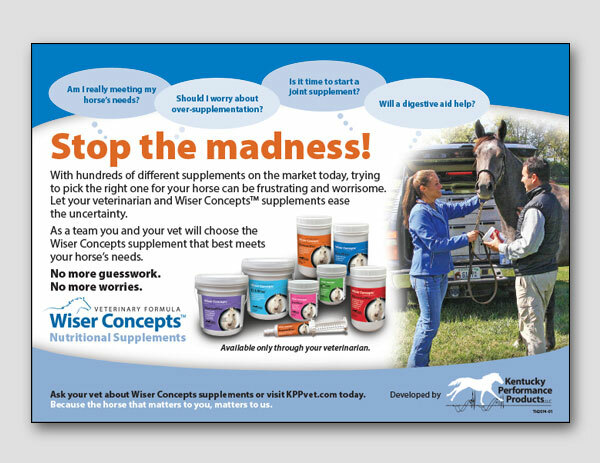 The supplement line is carried by veterinarians who recommend the correct product and proper dose for their client’s horse. 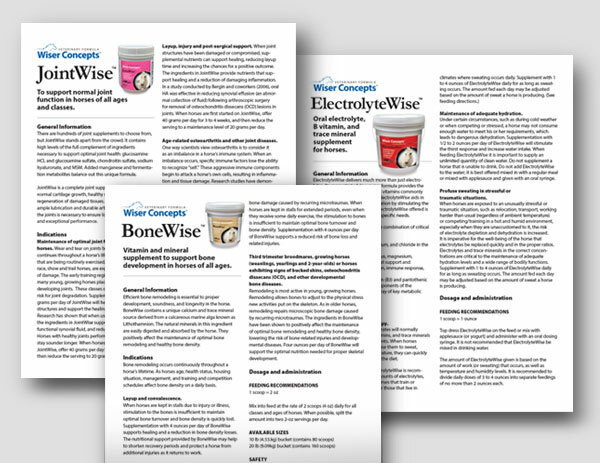 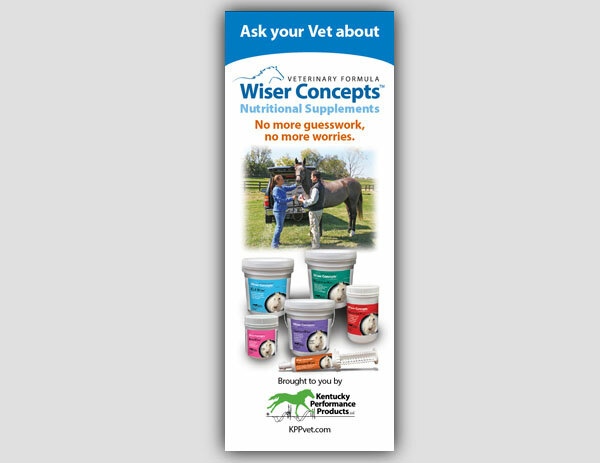 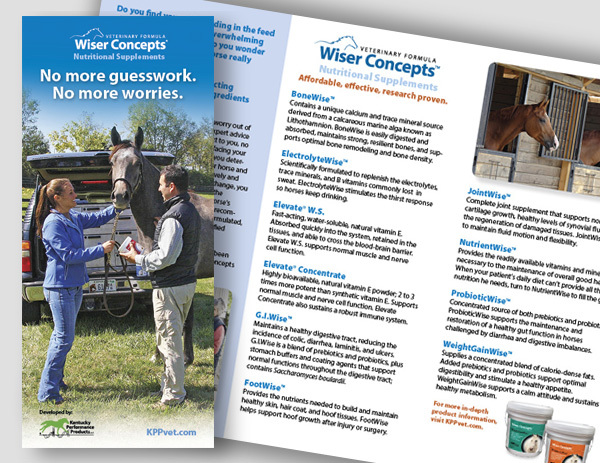 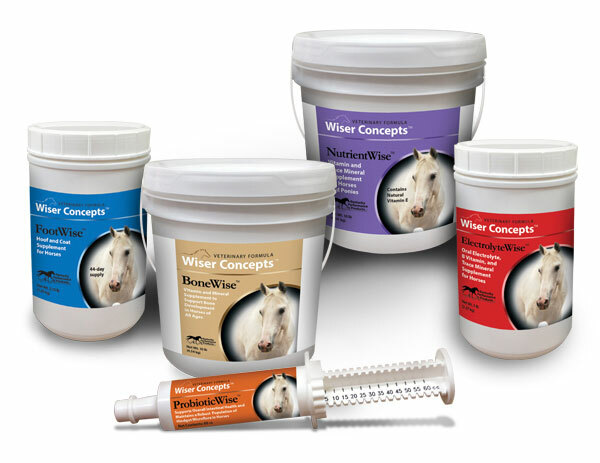 The Wiser Concepts product line was introduced at the American Association of Equine Practitioners conference in December 2013, and was met with enthusiasm by a number of veterinarians who immediately signed up for the program. 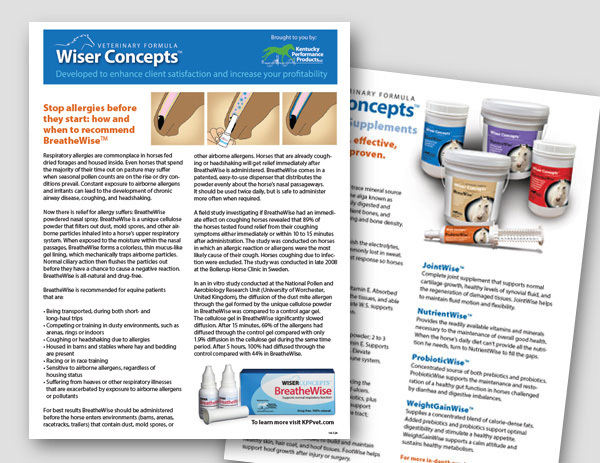 Examples of marketing materials created by the Arion Group for the Wiser Concepts product launch are shown in the slide show below. 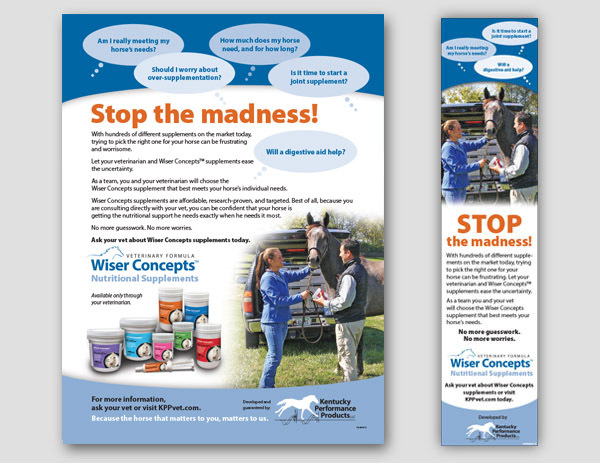 For help with your new product launch, contact the Arion Group today.